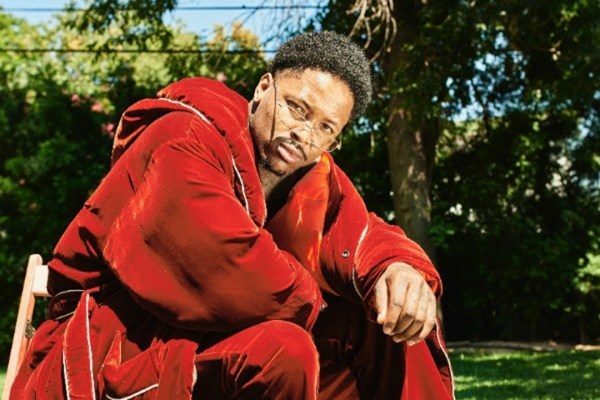 YG announces additional details for his 1st annual “The Boogie” All-Star weekend takeover in collaboration with 4Hunnid, Goldenvoice and True Religion. Taking place on Saturday, February 17th at The Shrine Expo Hall in Los Angeles, CA, the two-part event will give the ultimate NBA All-Star experience complete with a 3×3 celebrity basketball tournament, sponsor activations, contest giveaways, guest Djs and a star-studded evening performance line up. 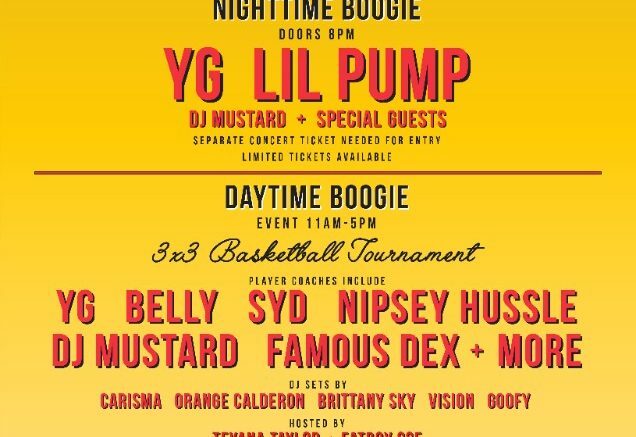 The Daytime Boogie will kick off at 11am in the parking lot area of The Shrine Expo Hall, featuring YG’s 3×3 Celebrity Basketball Tournament. Competitors such as YG, Belly, Syd, Nipsey Hussle, DJ Mustard, Famous Dex and more will show off their hoop skills as player coaches in a round robin tournament. Hosts Teyana Taylor and Fatboy SSE will entertain guests throughout the competition while attendees can browse a one of a kind Starter Pop Up Shop and 4Hunnid’s Low-Rider Merch Shop. On-site activities will include XBOX Gamer Tournaments, Food Trucks, Outdoor Stage and a Tattoo Booth with LA-Based Artist Tat2nene along with the official “Boogie Area” where guests are able to kick back and enjoy Gangsta punch, table games & more until 5pm. Official event sponsors include True Religion, Starter, Postmates and Essentia Water with each having a number of giveaways, contests and more. To end the night, The Nighttime Boogie will continue inside of The Shrine Expo Hall for the official concert starting at 8pm that will include a buzzworthy performance from YG with DJ Mustard, Lil Pump, The 4Hunnid Records roster and a number of special guests. Be the first to comment on "YG Announces 1st Annual “The Boogie” During NBA All-Star Weekend"